SPECIAL FREE NIGHT OFFER! STAY 3 PAY 2 or STAY 8 PAY 5. 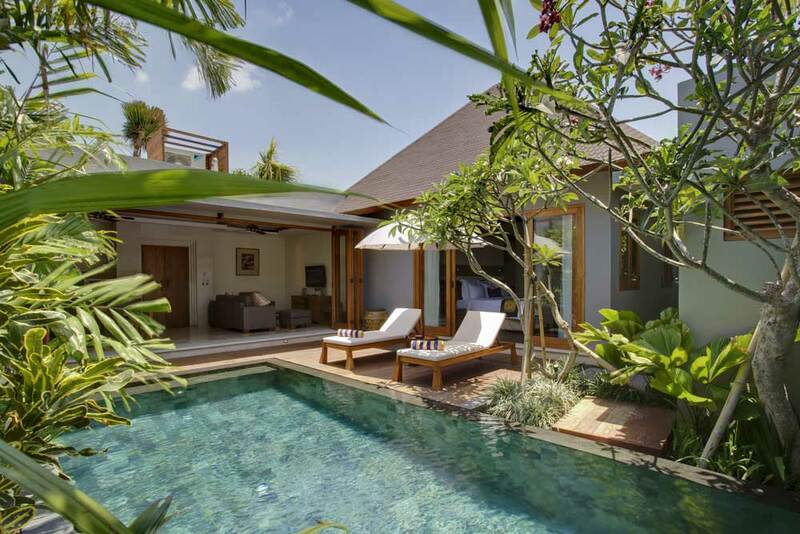 Nestled on 2,983 m2 lands, the 11 individual villas are well equipped and well maintained. Consists of 7 units of One-Bedroom Villa, 2 unit of Two-Bedroom Villa, and 2 units of Three-Bedroom Villa, all with king-size bed in each and every room. 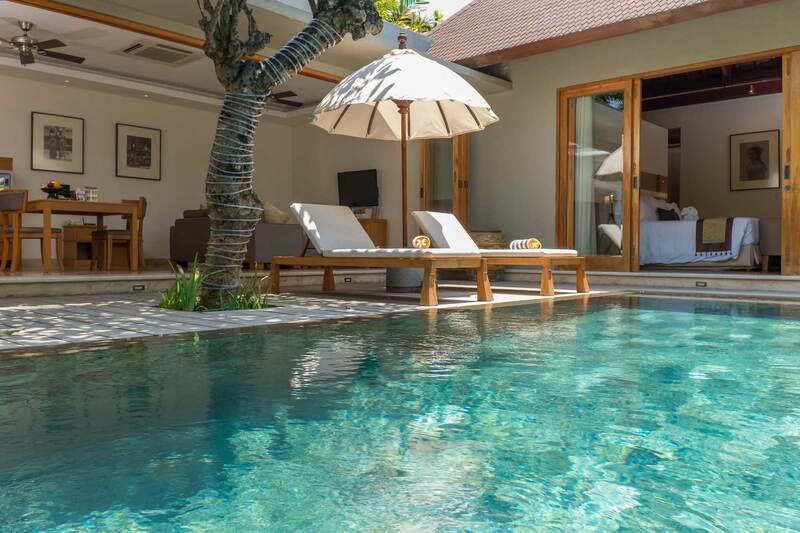 Each villa has a private pool with sun loungers and an outdoor shower, a guest bathroom, and a spacious living area equipped with western standard kitchen and dining facilities. KoenoKoeni Villa itself also has Tenong Cafe that opens seven days a week from 7am to 11pm. The villa is equipped with one king size bed, perfect for couple who’s cherishing their love on honeymoon trip or a romantic gateway. The villa is designed with one master bedroom and one additional bedroom, suitable for family with kids or a group of friends. Each room equipped with king-size beds. 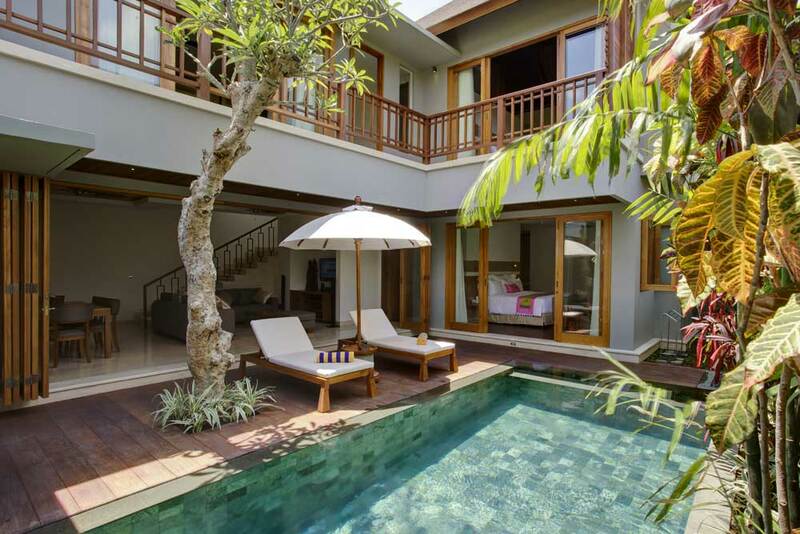 The villa is designed with one master bedroom and two additional bedrooms. It’s most suitable for larger group of families or friends. Each room equipped with king-size beds. Jalan Pura Telaga Waja, Petitenget, Seminyak, Bali, Indonesia, 80361. 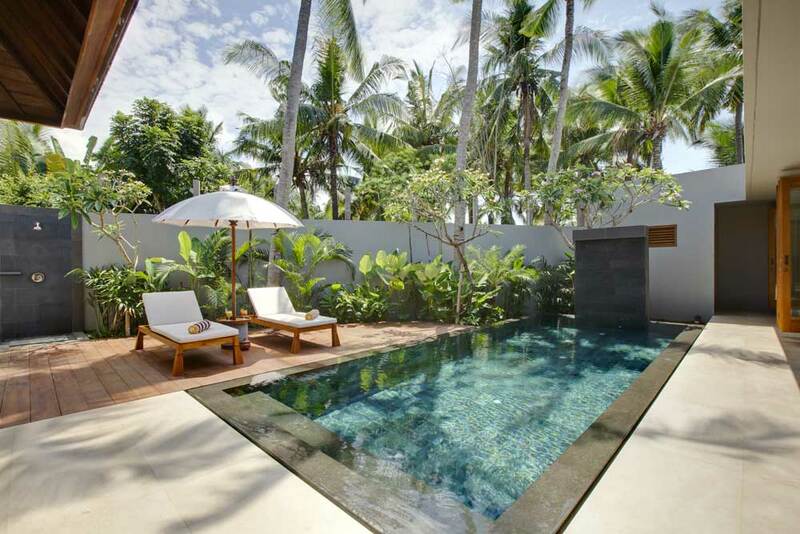 10 Best Luxury Hotels in Seminyak by Hotels.com. © 2016-2018 KoenoKoeni Villa. Managed by TP.